Visit a Massage Envy franchised location and experience a custom massage, total body stretch, or a skin care service tailored to your needs. 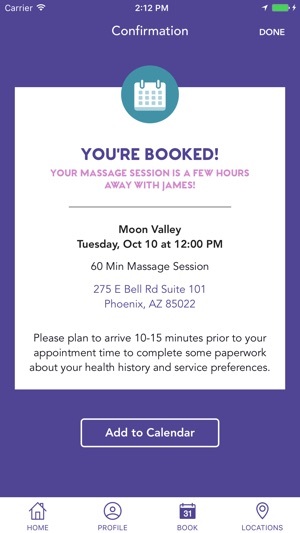 With the new features in the Massage Envy App, you can now easily schedule your appointments directly in the App. The world is out to get you. Thankfully, we got you. Any form of stress takes a toll on your body, and even though your body works hard to keep up, it needs help. Keeping your body running efficiently should be high on your to-do list and regular bodywork is easy with Massage Envy. Now, with the Massage Envy app, finding the time to keep your body working and do more of what you love is in your hands. 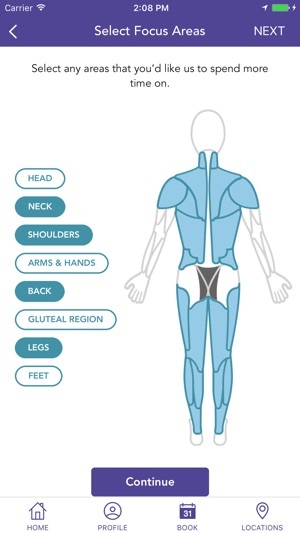 Customize every session to your unique needs and we’ll help you find the best therapist, service provider or esthetician and best recommend the enhancements to help keep your body operating at peak efficiency. Introducing Obagi skin care, new facial services and expanded enhancements. We’ve also made changes to improve the App user experience. The app worked well enough for me to book appointments before I became a member. For some reason once I signed up for membership the app stopped working for me. If does not show my upcoming appointments. Rarely does it give the option to book appointments. I pick a day along with all of my specifications and then it’s hit or miss. One day I had almost scheduled with the therapist and time frame of choice and when I went to select it, it gave an error message. I had a second preferment in mind of availability that I’d seen on the site and just decided to call instead to eliminate any problems. I followed up with a phone call to my location and found out the availability on the app was not reflective of the actual availability of the therapists. I know when I signed up for membership, I could not see my future appointments. This is frustrating because I have the one therapist that is a must for me and I’d scheduled with her for months in advance. I didn’t complain as long as the system kept my appointments locked in. I figured the app would reflect any future activity. Well that’s not the case. I cannot do anything on this app. It’s very frustrating because if it work as intended it would save me a lot of time. I will often give good reviews of restaurants, retailers etc...almost never bad reviews. But I’m hoping that the developers actually read these and value the input. First of all, I’m stunned that they show an overall 4.7 (out of 5) rating because almost every one I’ve read from the past year + is pretty negative. As for me, hope springs eternal! 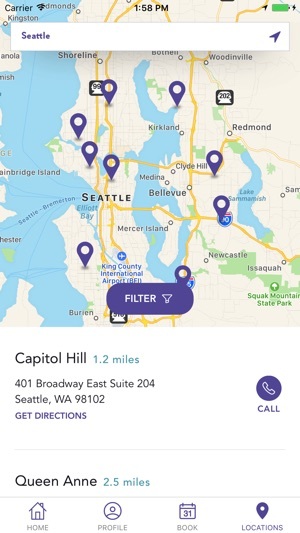 So after visiting my local ME, scheduling a couple of appointments and verifying they had my correct email address, I decided to take another run at getting the app to work. Knowing that it had just undergone a number of updates, I decided my best bet was to delete the existing app on my phone and download the new version. But no. I tried creating a new profile, only to be told that my data already existed in the system. So I tried logging in instead, only to be told that my email address was not registered. This after just having received an email from ME confirming my appointments. It would seem that the app and the software each franchise uses are not on speaking terms. I’ve been a member of ME for quite some time as I used to work there a long time ago. I was having massive issues with my home location in Florida so I cancelled it and signed back up at the Vets location I had been going to for years since I live in Louisiana anyway. Anyway, I learned shortly after signing up that there was an app bc my fiancé uses is religiously and it works perfectly for him. He can see his previous appointments, future appointments, and accrued services. Yay, right?! Not yay. It does not work at all for me. I’ve called my clinic multiple times and the first time I was told it was fixed. The second time, I was told the manager has no clue what he’s talking about bc they have zero control over the app and how it works. They don’t even know how to use it and they aren’t trained on it at all. Add to that the fact that there are no numbers anywhere to get app support and it’s just extremely frustrating. What’s the point of even creating an app if it doesn’t work properly? And before the suggestion about the whole “creating a new login after a certain date” thing comes, I didn’t even download this app until probably about March or April. It would be great if this could be fixed.